Joti Singh is back with a fun evening of Bollywood dancing! Joti was such a hit at our 10th anniversary party last fall we had to have her back for an evening of funky steps Mumbai-style. The simple, fun choreography of Bollywood films is a cardiovascular workout if there ever was one, good for the heart — good for the soul! Everyone welcome, no experience required! 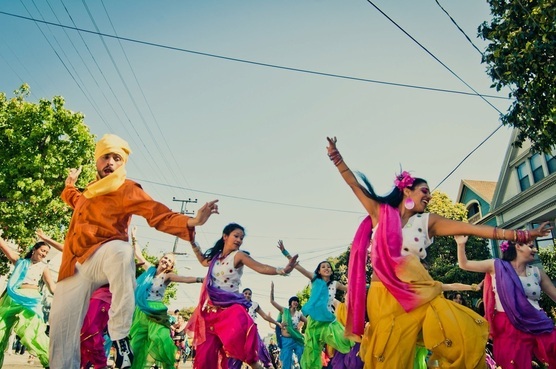 Joti Singh is a choreographer, performer, and instructor of Bhangra and Bollywood dances from India and dance from Guinea, West Africa. She is the Artistic Director and founder of Duniya Dance and Drum Company. Jot currently teaches at Dance Mission, ODC and is a guest teacher at numerous Bay Area schools and colleges.